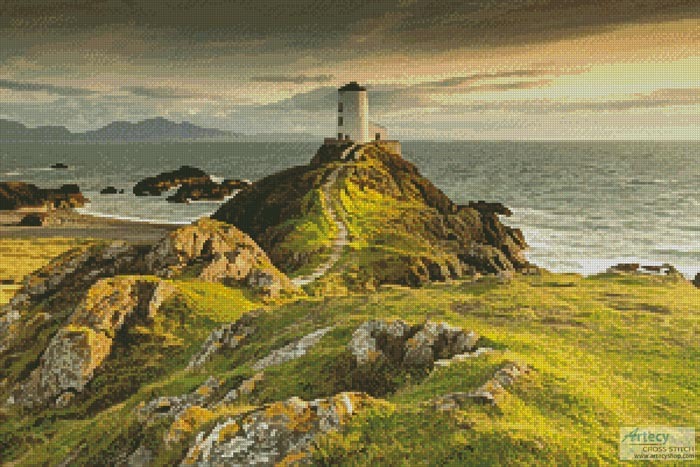 Twr Mawr Lighthouse, Wales-(Facebook Group) Cross Stitch Pattern to print online. This counted cross stitch pattern of the Twr Mawr Lighthouse in Wales was created from a photograph copyright of Jim Cooke - Unsplash. We also offer a crop version of this pattern which you can find here. Every month in our Artecy Cross Stitch Facebook Group we offer a free pattern. This is one of the free patterns available to our Facebook group members for free to thank them for their support. We are offering this pattern here at our Artecy Shop for stitchers who do not use Facebook or do not wish to join the group, we are charging $1.95US to download for non members of the Group, however if you would like to download this pattern for free you will be most welcome to join our Artecy Facebook Group here. Our group is a place for anyone who loves Artecy Cross Stitch designs to display their finished Artecy works or WIP's and to get get cross stitch advice and encouragement from fellow stitchers. We are also offering the printed / posted versions of these designs at a reduced price below for both the Facebook Group members and non members who may not have access to a printer. Shipping cost is an additional $2.00US to anywhere in the world.